The Antique Store. Games online. 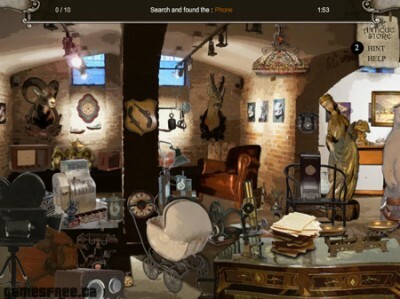 Try to find all the hidden objects before the time runs out. If you have difficulties you can use the two hints. You will see the word for every found object written at the top of the screen. The game is translated in English, French and Spanish.